Leopolda is a vintage style white ladies bike with steel frame, Brooks honey-brown leather saddle, white anti-puncture tyres, mahogany grips, pedals and mudguards. 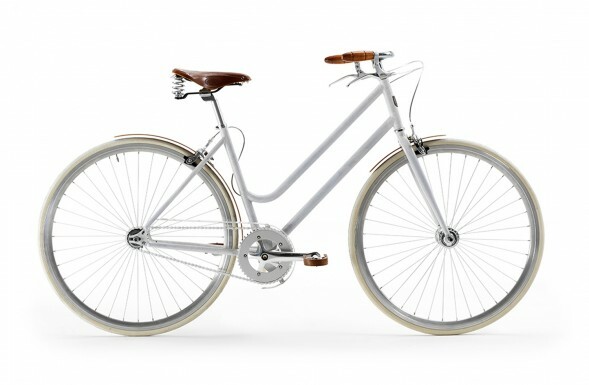 A luxury high end women's bike, handcrafted from quality materials, Leopolda is the perfect choice for city trips. White steel frame, Brooks honey-leather saddle, mahogany grips, pedals, mudguards. Leopolda is an elegant women’s commuter bike inspired by vintage ladies bicycles. 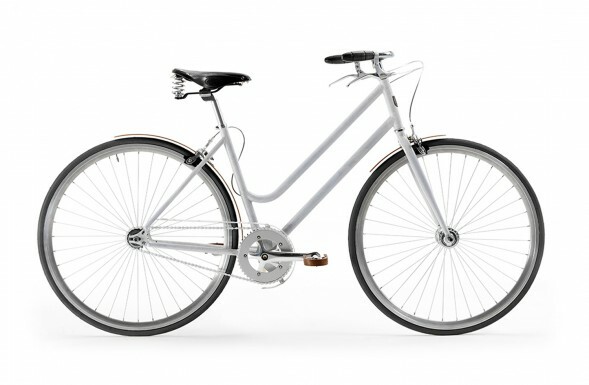 The frame is made of white steel; grips, pedals and mudguards in mahogany wood; Brooks saddle in leather. Masterfully handcrafted in the workshop of a cyclist in Milan, Leopolda is a vintage style bike with white steel frame, Brooks black leather saddle, Kenda tyres, mahogany grips, pedals and mudguards.